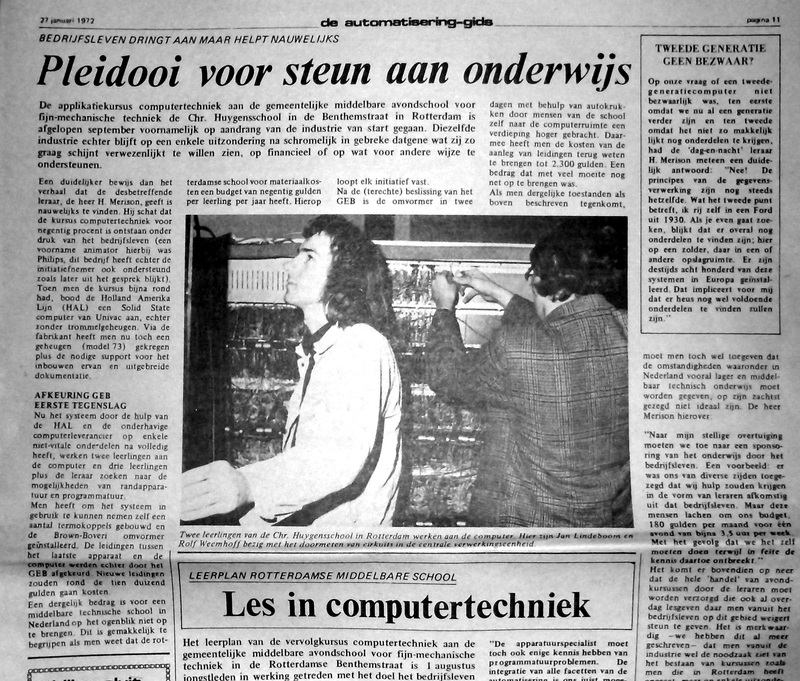 The Univac Solid State Computer 90, our projects. Rob Weemhof (on the right) and Jan Lindeboom. Initially this large machine was intended as an educational project for our school. 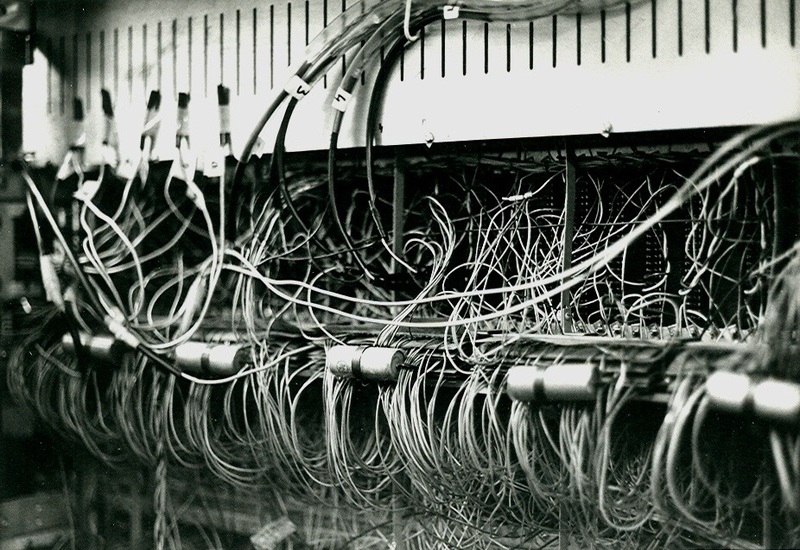 to repair and to understand the logical-circuitry of one of the first commonly available digital computers. to make them reading cards with pencil-marks. we never succeeded in working out the whole project to be sufficiently reliable. At the beginning we had to build in another magnetic drum memory, because the original drum was sold to a Russian company. 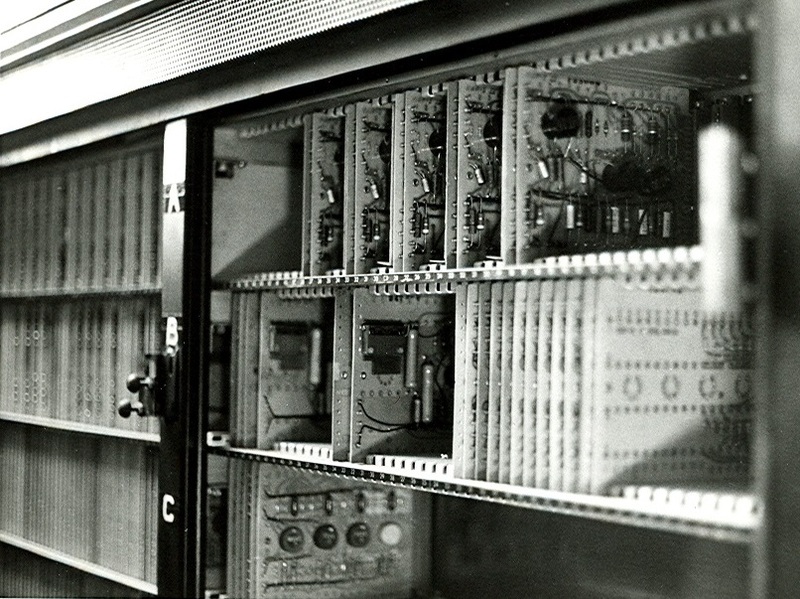 it was not capable of controlling the punchcard devices. 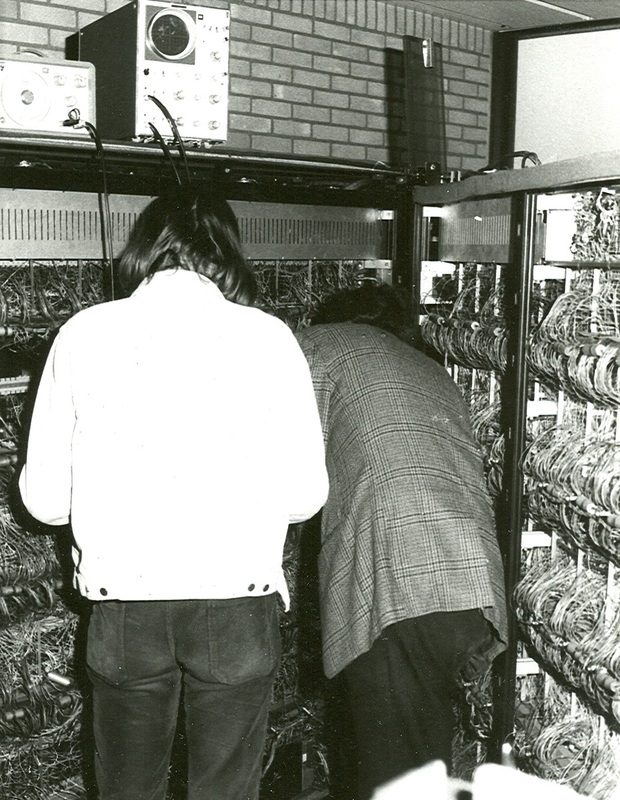 I wrote the missing information on a tape-buffer-band which was not used, by wiring it as a normal memory-band. 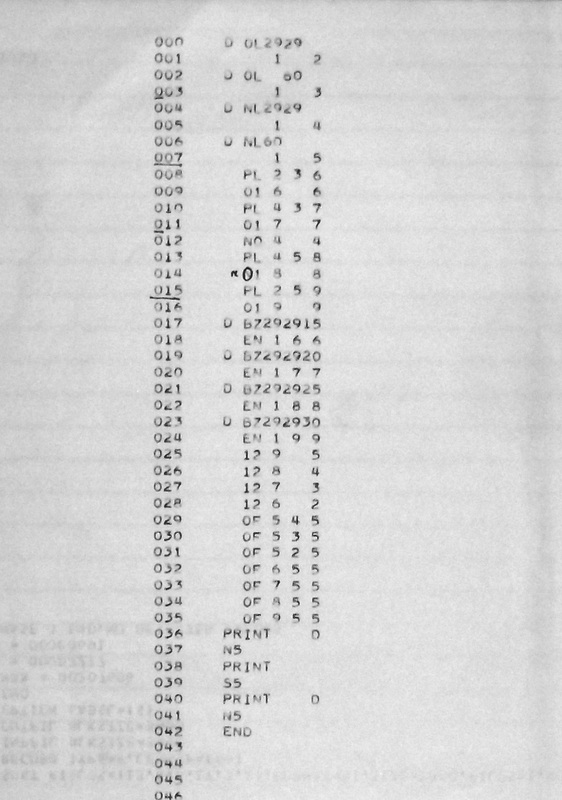 that only the addresses of the original timingband were used and the other 8 digits were used from this buffer-band. This project was successful, from then onwards all cardequipment could be used. We programmed some software applications, one was to print addresses for a society of school-teachers. We programmed some simple mathematical problems, to demonstrate the power of our machine. 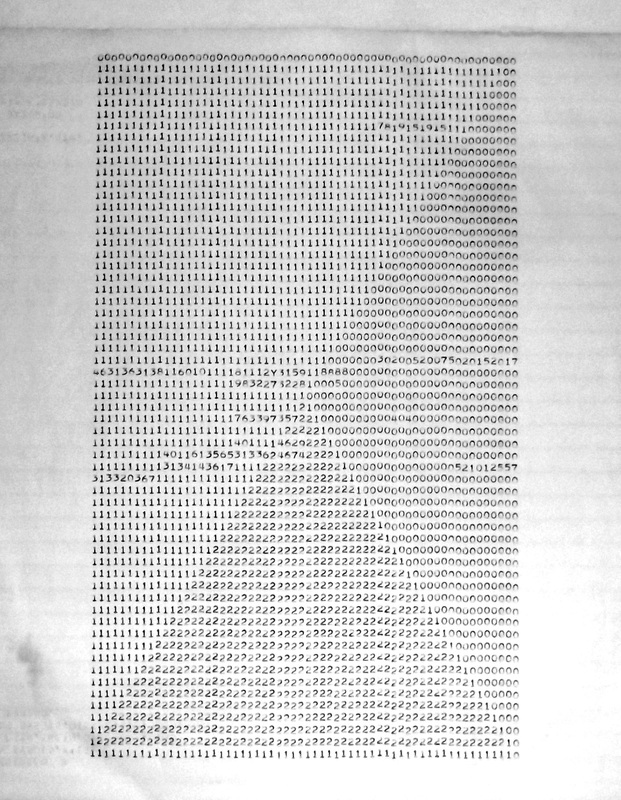 I wrote a program to print a table of powers of a number, until the results printed, occupied the full print-line of 130 digits. I also wrote a program to print a table of primes. It did well but I never had it run till the end. Theoretically it could find primes till the value of 900,000,000 and it would have taken centuries to finish. to be used by artists. The program worked well but I never used it in practice, since I started then in a new occupation. Examples of tests of the graphical-art program. 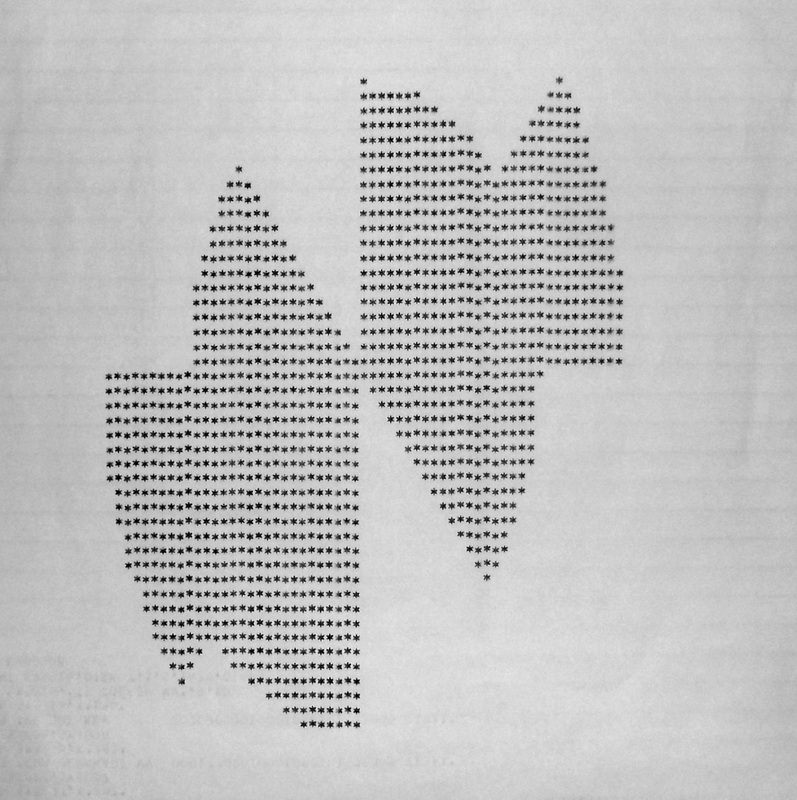 And of course we wrote many small programs to test the USSC and even programs to make music. We found many ways to feed the equipment with special orders of punched cards to force them to operate in specific rhythms. I wrote a program for a controlled firing of the hammers of the print-mechanism to generate tones in the range of 1KHz to 10 Hz. 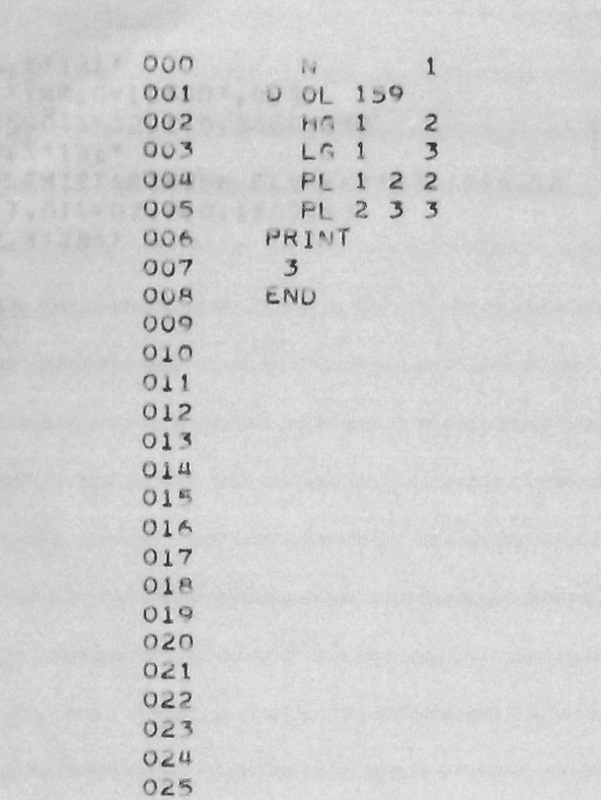 With a amplifier connected to a single bit of register C, we could hear and recognize loops in the executed program. 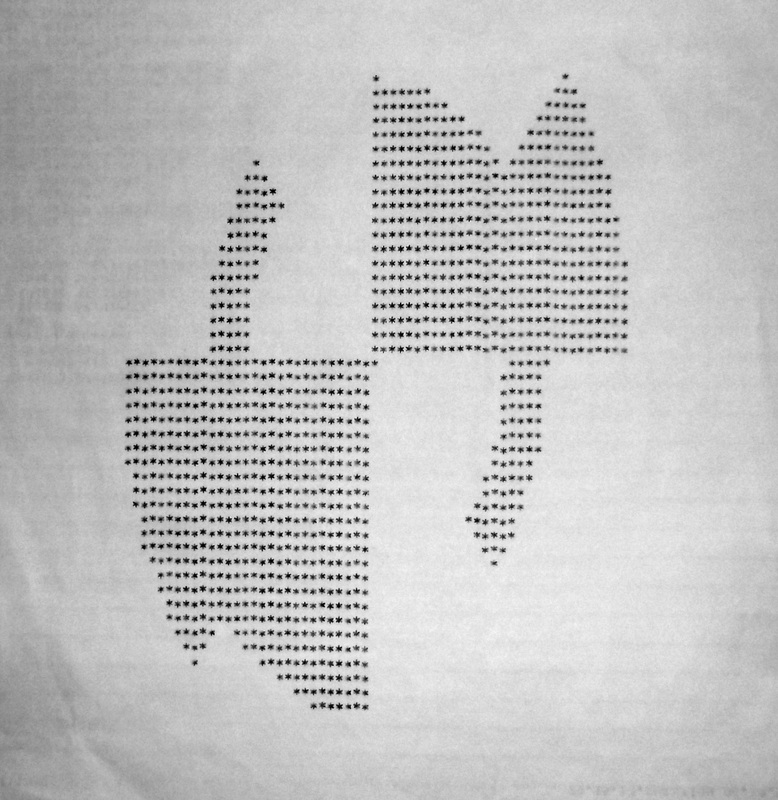 Once I took out a circuitboard with an amplifier for the magnetic print-drum, on which all printable-characters were coded. One of the capacitors must still have been loaded, because after replacing the amplifier, the printer-hardware refused to work. Then I discovered that my action had caused a spike to be written on this magnetic print-drum. while it was rotating, the exact position of the cylinder, similar to when I took the amplifier out (= the place of the spike). to the shaft of the print-cylinder and set a small 100 kHz signal on the corresponding magnetic head. Then, by moving the bar a few times, less then a centimeter, I wiped out the erroneous spike from the code-drum. After this, the printer worked as normal.